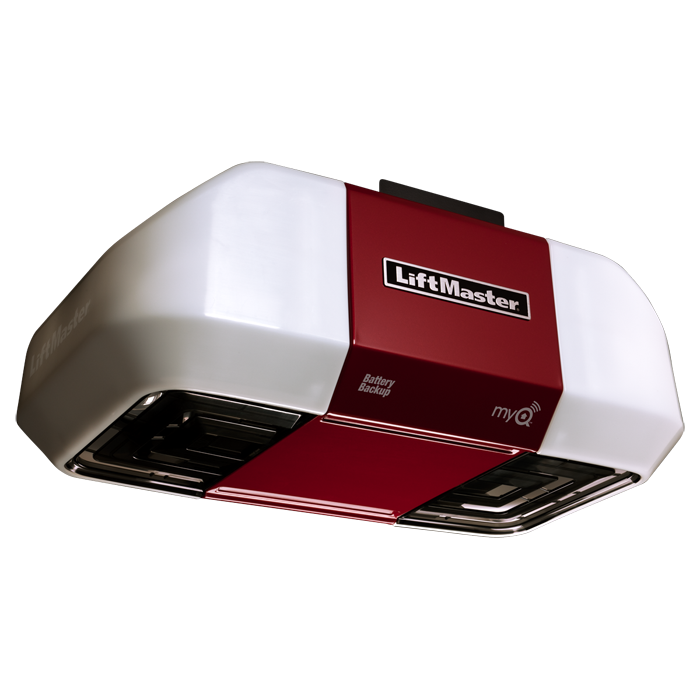 LiftMaster® offers a broad selection of residential garage door openers that are high in performance and durability with useful and convenient features. 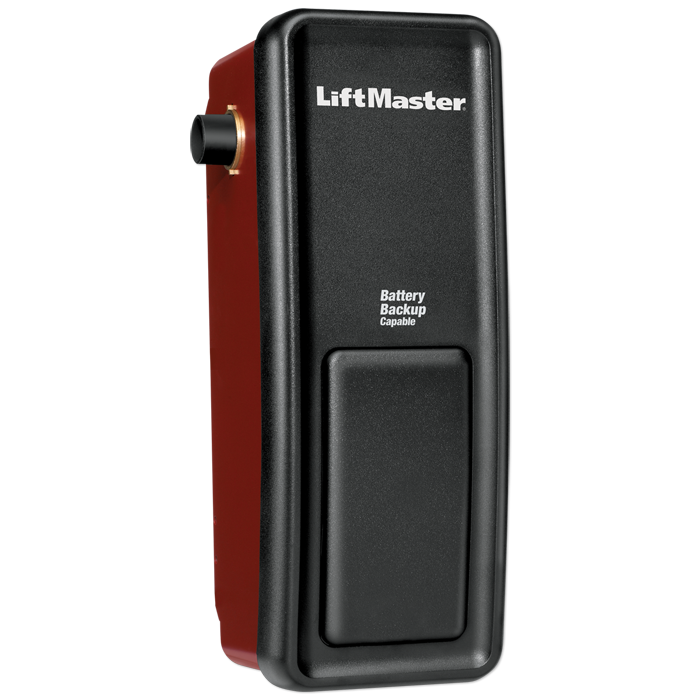 All LiftMaster® garage door openers offer the ultimate in safety and security features that are available with a variety of horsepower levels and drive systems. Browse the selection below for more information or click here to browse remote controls and accessories. The LiftMaster® Wall Mount Garage Door Opener mounts on the wall beside the garage door, freeing up ceiling space, and is available with an optional power standby system that continues working event when the power goes out. 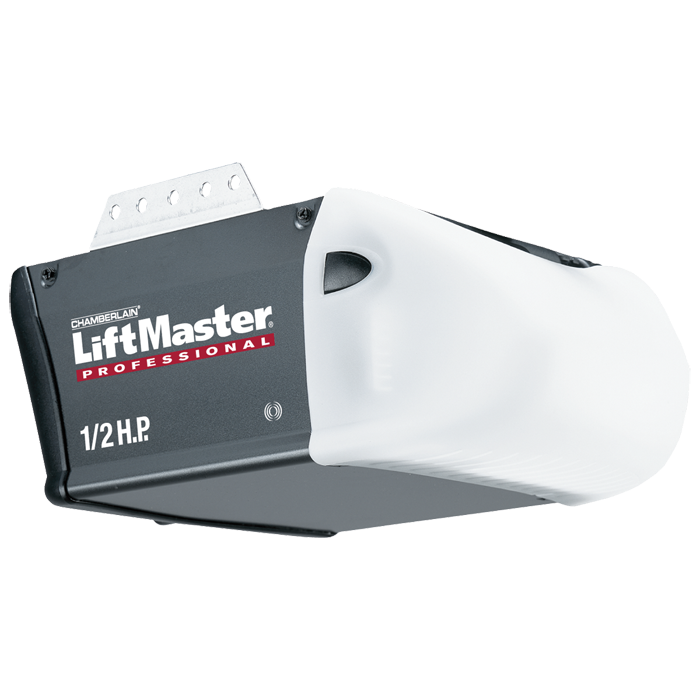 LiftMaster® offers a wide range of garage door opener systems with varying horsepower strengths. If you are unsure of which model to select, use the LiftMaster® Garage Door Opener Comparison Chart to help you decide. You can always contact us with any questions you have.